I’ve been looking forward to Moonlit Yoga all week. (www.moonlityoga.org) Katie meets me at home after work. We eat dinner and head to Lulu Lemon to get new yoga mats. They are phasing out their beginner mats and had them on sale for $19. We were stoked! 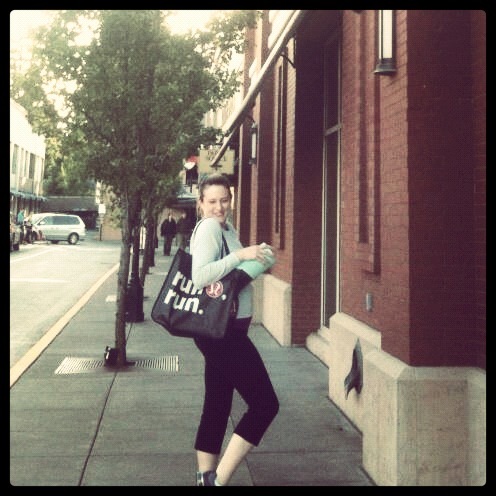 We raced downtown to Yoga on Yamhill. It does not look open but the door is unlocked. We walk in and see a group of people who ask us why we are there. We tell them we are right on time for Moonlit Yoga, of course, and they proceed to tell us that it is only on the third Saturday of the month. So, we leave and proceed to curse out Moonlit Yoga and Yoga on Yamhill. 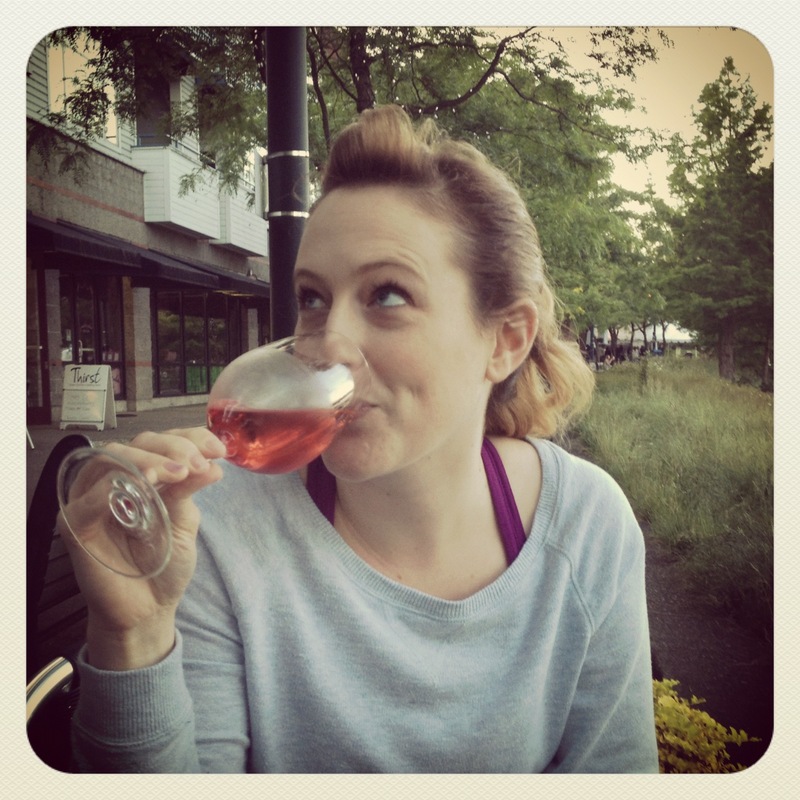 We lug our yoga mats to Thirst on the waterfront and share a bottle of wine on the patio. So I only did yoga 3 times this week because Moonlit Yoga does not understand how to have an informative and updated online presence. But I did get to enjoy an amazing, sunny evening on the water with a great friend, which is always a win. This entry was posted in Yoga and tagged lulu lemon, moonlit yoga, thirst, wine, yoga, yoga on yamhill. Bookmark the permalink.